The 32-year-old Mexican-American actor has been cast in the 10-episode half-hour Latinx dramedy Gentefied. Soria joins a main cast that includes Karrie Martin, Carlos Santos and Joaquín Cosio. The project hails from Gente-fied: The Digital Series creators Marvin Lemusand Linda Yvette Chávez, showrunner Monica Macer, America Ferrera, Teri Weinbergand Macro. Written by Lemus and Chávez, Gentefied is adapted from the web series which premiered at the 2017 Sundance Film Festival. Described as a badass bilingual series about family, community, brown love, and the displacement that disrupts it all, Gentefiedis about three Mexican-American cousins (Martin, Soria, Santos) who struggle to chase the American Dream, even while that same dream threatens the things they hold most dear: their neighborhood, their immigrant grandfather (Cosio), and the family taco shop. Set in a rapidly changing Los Angeles, the Spanglish dramedy will navigate important themes like identity, class, and balancing insta-fame with translating memes for their parents. But most importantly,Gentefiedwill settle once and for all how to pronounce Latinx. Martin will play Ana Morales, a sarcastic, woke, blunt, and endearing, queer artist. Ana is a Chicana who leads with her heart and fights for her art with untethered conviction. She loves her abuelo and her entire family almost to a fault. 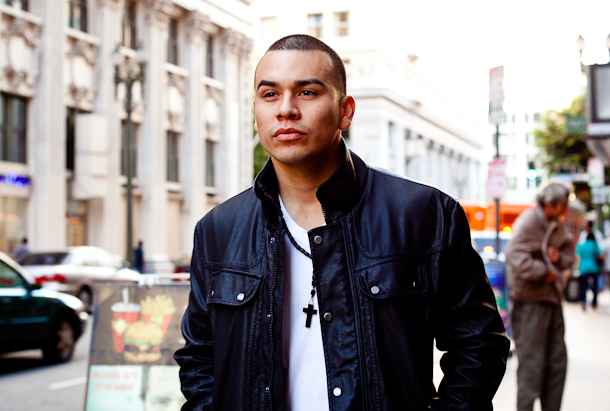 Soria will portray Erik, a wisecracking, well-read, charismatic, but tough homie with a heart of gold. He’s a high school dropout, but there isn’t a book in the local library Erik hasn’t read. He’s a reluctant dreamer trying to find his way back to himself. But his loyalty to his grandfather who took him in keeps him from putting time into himself or Lidia, the love of his life. Santos is Chris, the prodigal grandson, a fun-loving, know-it-all, chef-in-training. Chris is a homegrown Boyle Heights boy who moved to Idaho at a young age and was abruptly introduced to Weezer and cow-tipping. His cousins call him guero for acting and looking like a white boy, which always leaves him wondering if he’ll ever be Mexican enough for anyone. Cosio is Pop, a hard-working, stoic, but warm, old-fashioned ranchero and the rock of the Morales family. Though gruff with his Tejanaand potty-mouth (“cabron” is his favorite word! ), Pop has a huge heart, but that also means a lot of heartache trying to protect them. Lemus directs the Netflix production. A love letter to the Latinx and Boyle Heights communities, creators Lemus and Chavez hope Gentefiedwill let their little cousins rocking Adidas, hoops, and big dreams see themselves on the big screen in ways they only dreamed of growing up. Martin has co-starred on shows like Pretty Little Liars, The Arrangement, The Purgeand will soon be appearing in David Ayer’s film The Tax Collector. 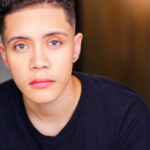 Soria most recently appeared in the series regular role of Pete Ramos on Crackle series The Oath, and has recurred on TNT’s Animal Kingdom and Freeform’s The Fosters. On the film side, Soria can next be seen in the indie John Henry alongside Terry Crews. CBS Diversity Showcase alum Santos has appeared on CBS’ 2 Broke Girls, truTV’s Adam Ruins Everything and Seeso’s Bajillion Dollar Properties. He also was the lead in the 2013 Slamdance comedy horror feature Ghost Team One and guest-starred on Fox’s The Last Man on Earth. Cosio’s credits include the role of Angel de Plata on FX’s The Strain and Don Neto in Narcos: Mexico.He’s returning for Season 2 of Narcos: Mexicoand will be seen in a starring role in Amazon’s new series CDMX.On the film side, he’ll next be seen in Emilio Portes’ horror thriller Beelzebuth,as well as the sequel to Matando Cabos, where he’ll return to portray the title character.